﻿ Plant Spotlight: "Jungle Val", Vallisneria americana "Gigantea"
Vallisneria americana “Gigantea”, aka. Jungle Val. 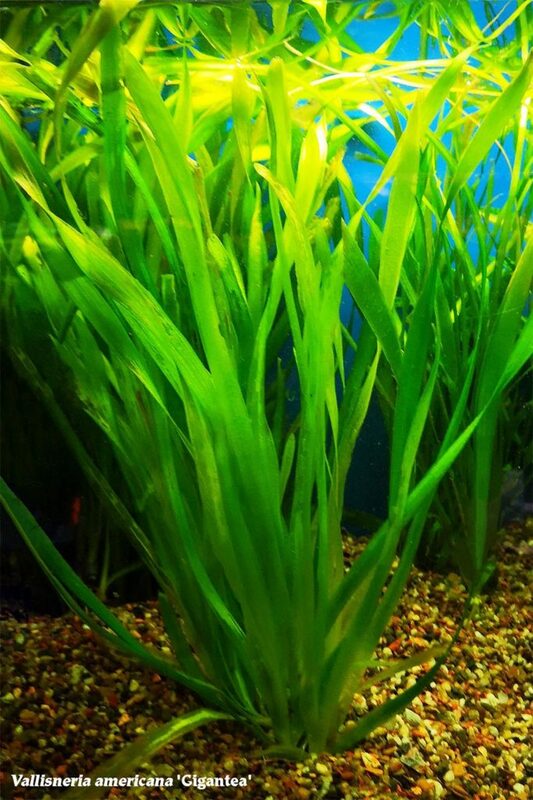 Most aquarists have used some genus of Vallisneria in their aquarium, but rarely do they have the space to accommodate Vallisneria americana “Gigantea”, which is more commonly known as Jungle Val. Despite the inclusion of “americana” in the scientific name, Jungle Val is cosmopolitan and can be found all over the world. Like all species of Vallisneria, Jungle Val reproduces via runners (stolons) and is purportedly able to survive in saline conditions, making this a particularly useful plant in brackish water set-ups. It also tolerates hard-water and can easily be used in African Cichlid tanks because the thin bladed leaves are somehow less appealing to these fish than other plant species. Lighting requirements for Jungle Val are negligible, as are its nutritional needs. Although an enriched substrate is much better, plain-washed gravel suffices and CO2 requirements are minimal, as well. As mentioned previously, Jungle Val can grow leaves that are 80 inches in length. While it is tempting to prune the blades at the surface, this will ultimately kill the leaf. This plant is mostly appropriate for taller tanks with subdued lighting, or in smaller tanks that have shy and retiring fish species that require the overhanging shade provided by V. americana ‘Gigantea’.